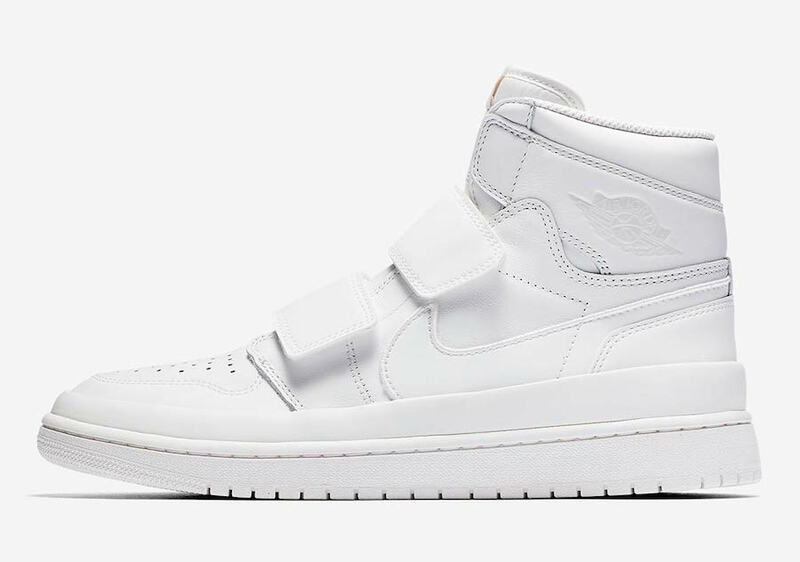 In recent years we have seen the Air Jordan 1 change things up. 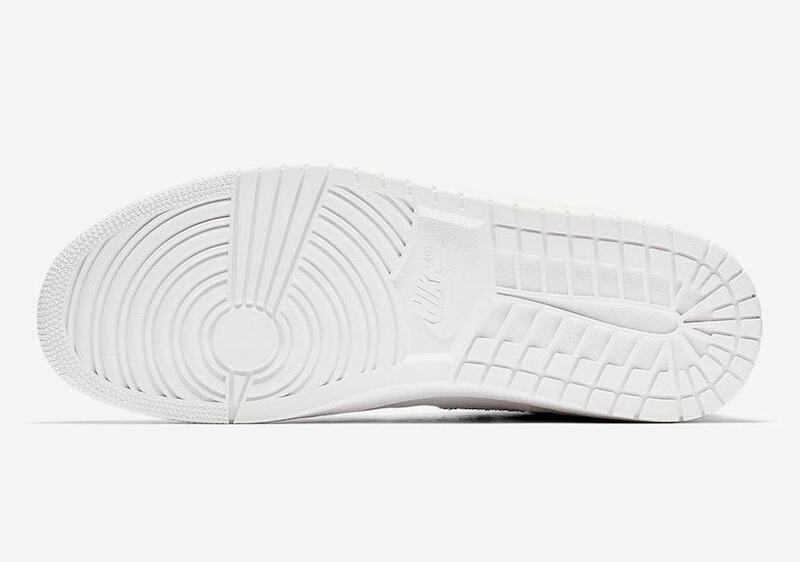 Originally created for the courts, the model has started to become an even more lifestyle shoe. 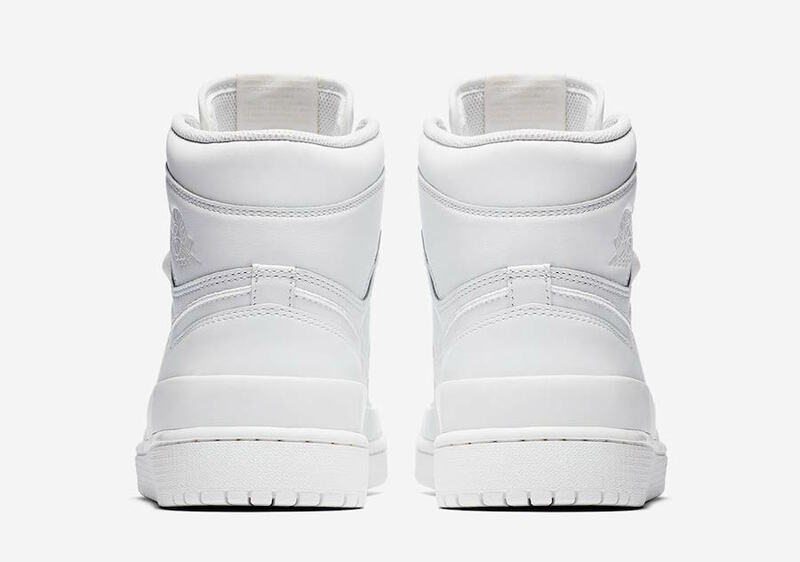 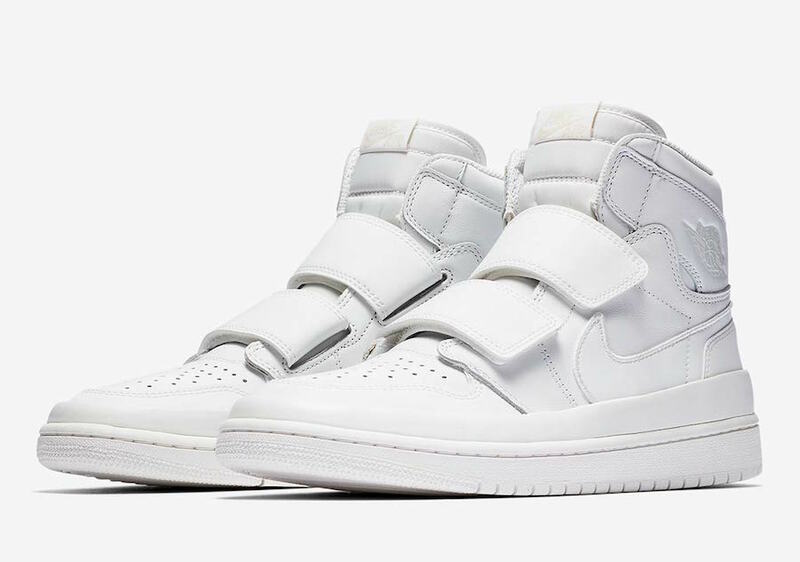 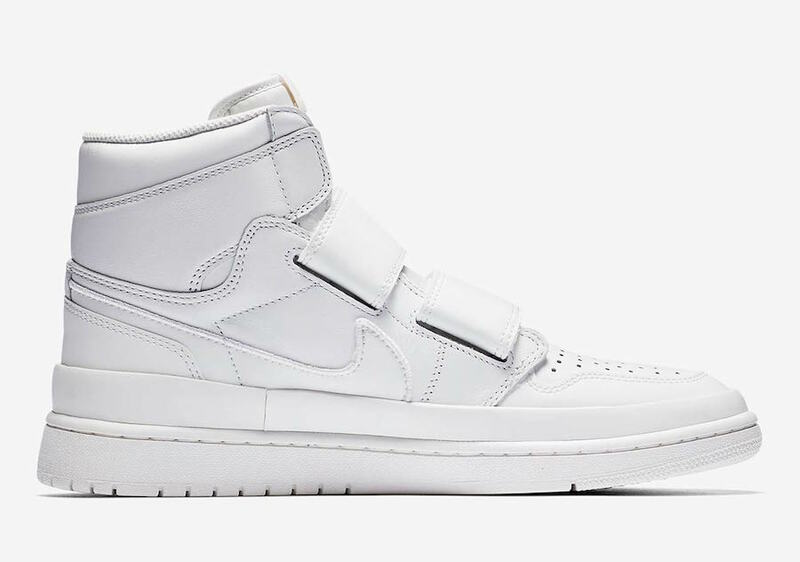 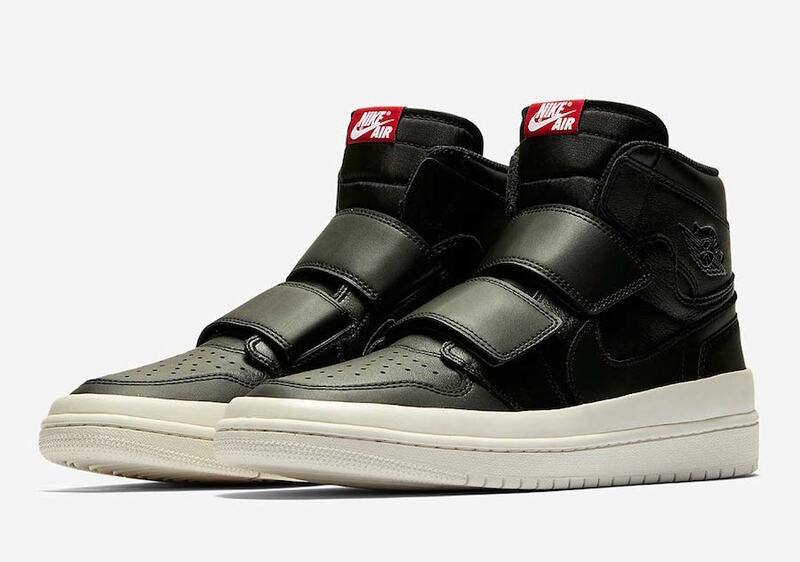 With that said, Jordan Brand is set to release a few colorways of the Air Jordan 1 High Double Strap. 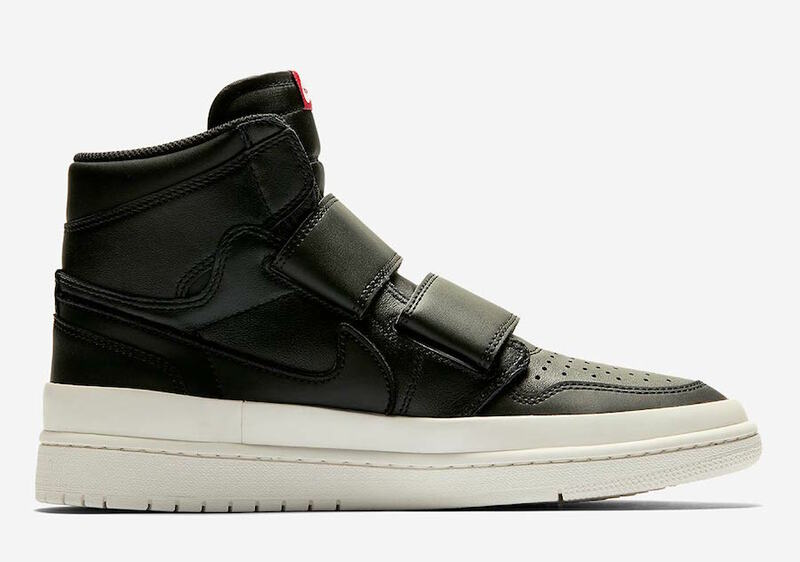 As you can see, this Air Jordan 1 lacks laces but uses two straps across the mid-foot area. 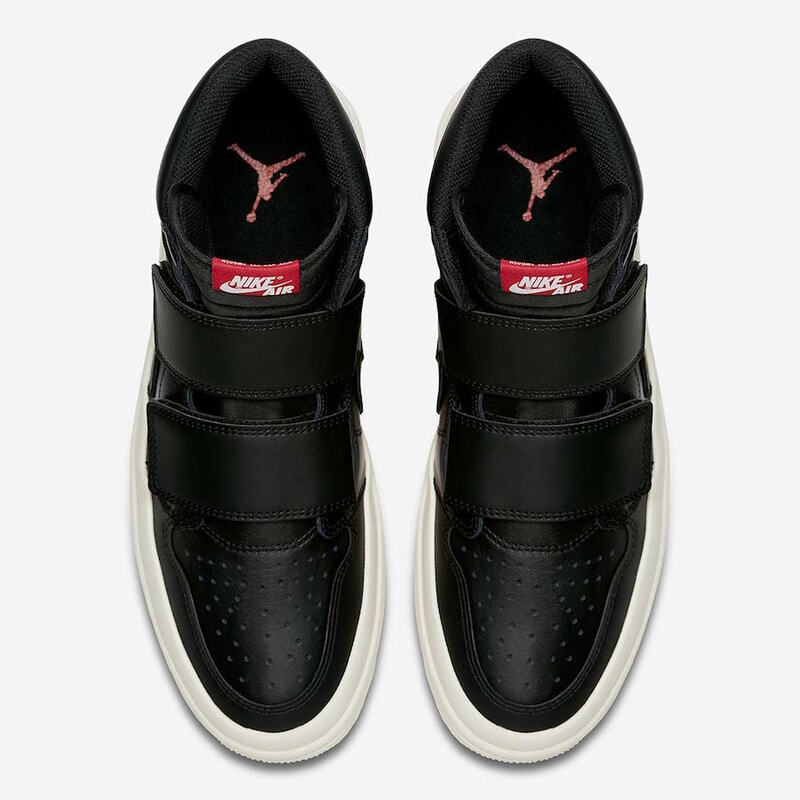 One pair comes dressed in Black while the second features White. 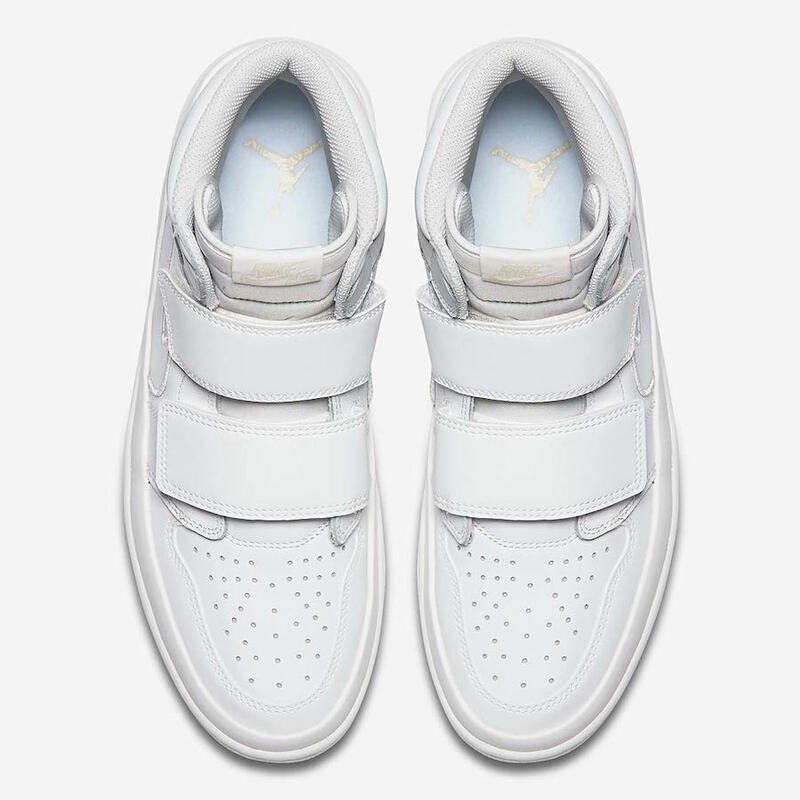 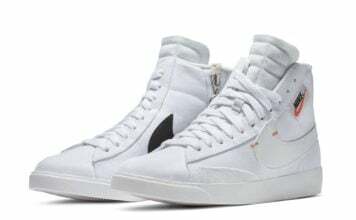 Nike Air branding is seen on the tongues, perforations on the toe box, Wings and Nike Swoosh logos are used and two velcro straps. 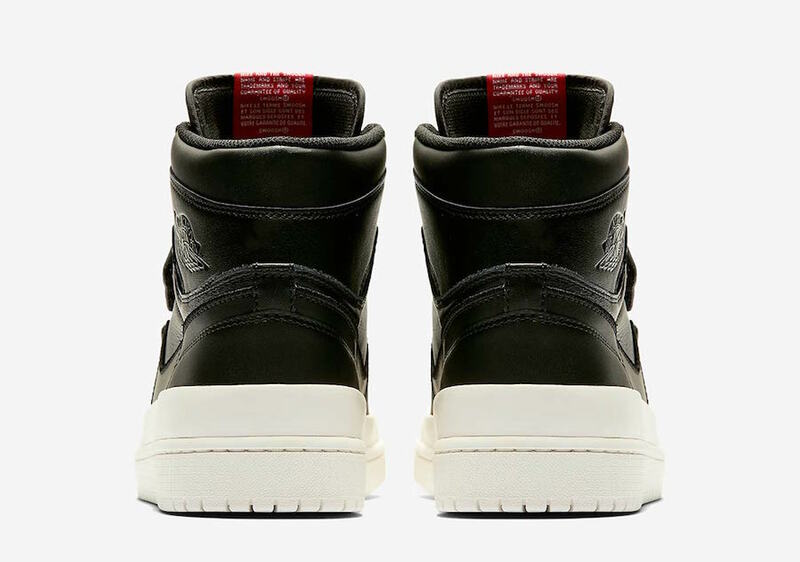 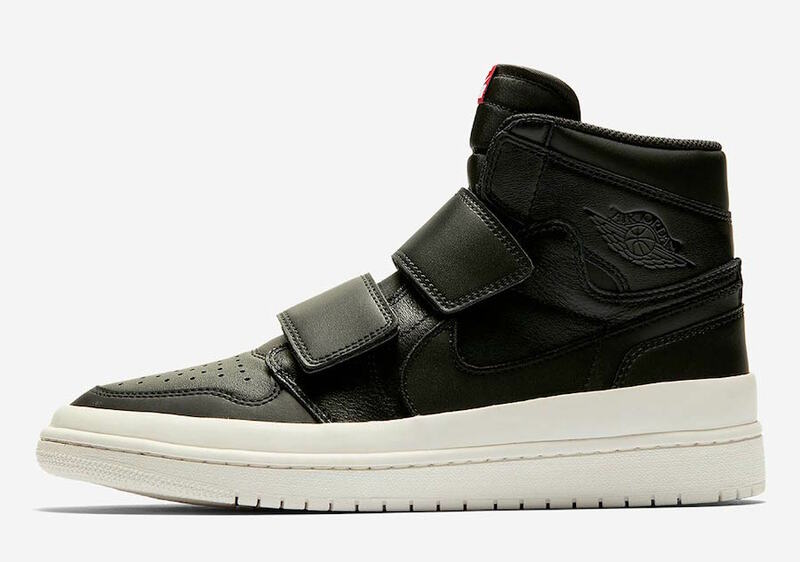 Although a specific release date for the Air Jordan 1 High Double Strap has yet to be announced, they are expected to arrive at select Jordan Brand retailers and online at Nike.com soon. 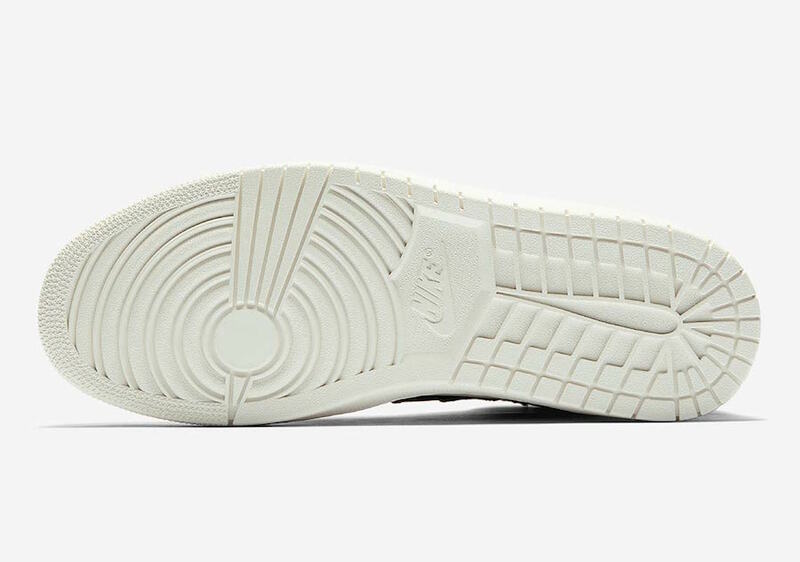 Continue to scroll below to check out more images of the two colorways which will give you a closer look.